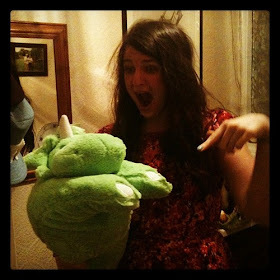 t*rexes and tiaras: #bloggersecretsanta update.. I could not be more glad to see the end of this week: it's been a rough one. 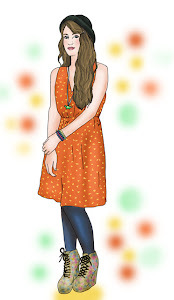 I've got so many ideas and posts I want to finish here, but they'll have to wait until next week. 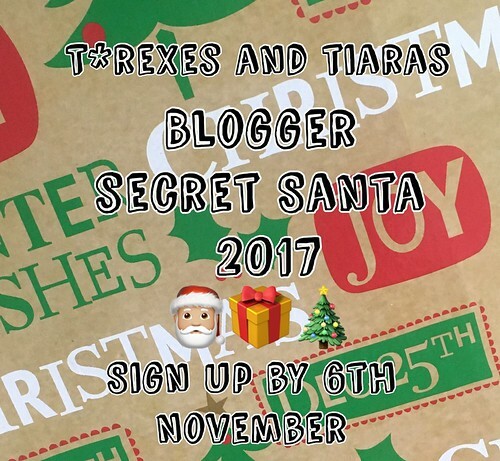 In the meantime, a little reminder for those of you who might not have seen it yet - #bloggersecretsanta is running again this year and sign ups close on Monday. I'll send out your partner's details and you'll have a few weeks to take a look at their blogs / social media and put together a parcel. The spend limit for that is £10, not including postage. Then, post your parcel by 5th December, and let me know when you've posted and when you've received a parcel. Couldn't be simpler! Get in touch if you have any questions. Open to international senders, as always!